Officially licensed Parayste -the maxim- shirts are invading our merchandise catalog! This Merch Monday, we’re featuring a collection that showcases the different forms of our favorite blunt, blade-wielding parasyte, Migi! 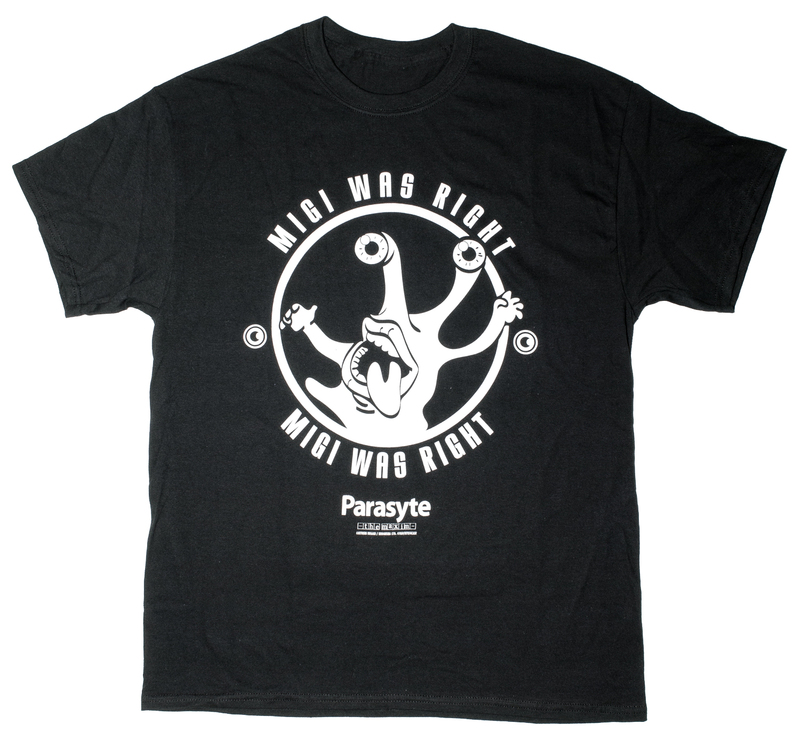 All of our Migi shirts were designed in-house at Sentai Filmworks with fans like you in mind. Which tee will your torso be rocking? Yes Shinichi, it's true... Migi was right! 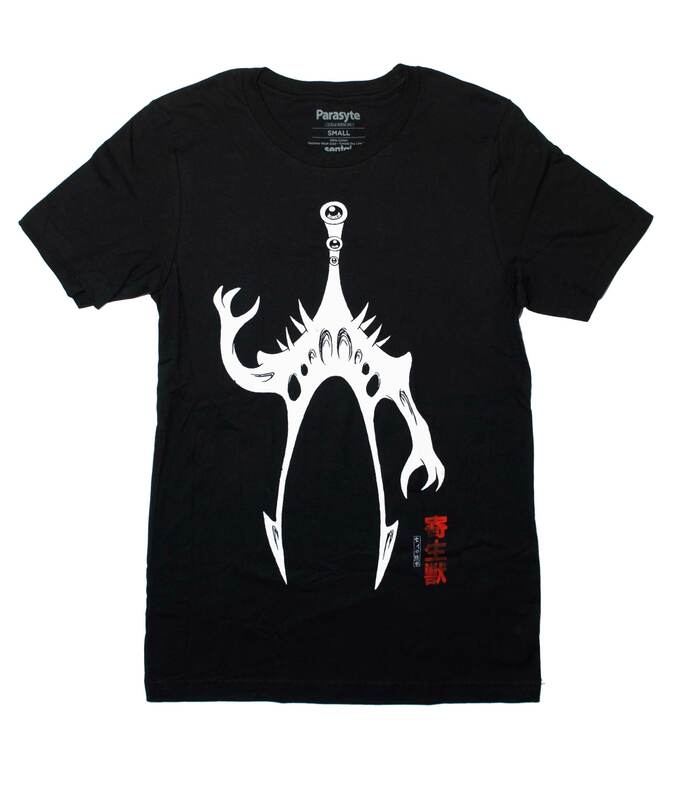 Now you too can spread the message by snatching up this Parasyte -the maxim- t-shirt. The passing thought in Parasyte -the maxim- may not have been, "Awesome shirt!" but hopefully it's the thought people will have when they see this Migi! This haunting design from Parasyte -the maxim- features nightmare Migi in a form that's both familiar and completely, dare we say, alien? When you think about it, Migi is kind of like a guardian angel. A self-serving, monotonous, hyper-objective guardian angel that lives forcibly on your right hand. We couldn’t imagine a better partnership! 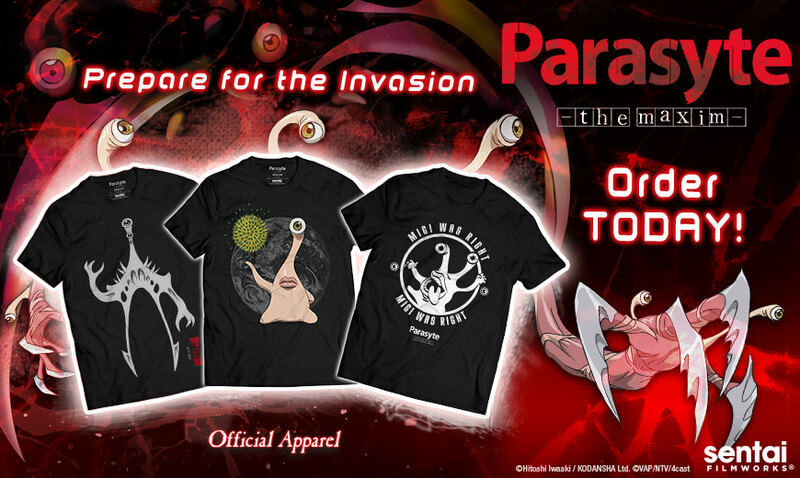 When owning a copy of Parasyte -the maxim- on DVD, Blu-Ray, or premium box set isn’t enough, get your hands on our Parayste -the maxim- shirts too.